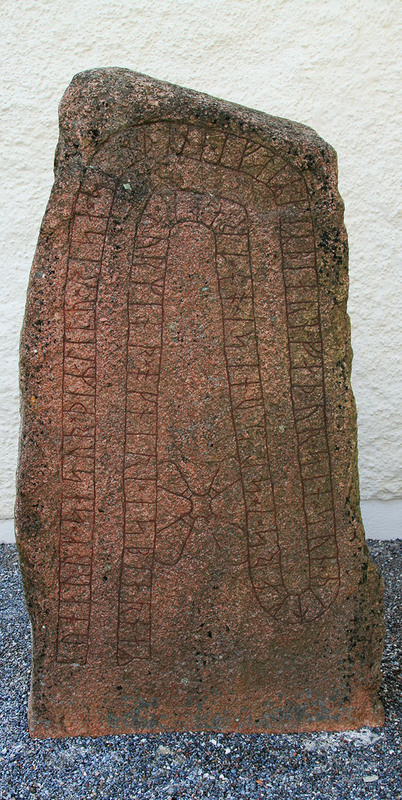 Additional Info – Apparently the most interesting thing about this stone wasn’t about the sons who raised the stone to their father who killed northmen on a ship, but the name of their grandfather, Vitkarl. It’s believed that the grandfather’s original name was ‘Karl’ and that the prefix ‘vit’ is adapted from the word ‘vitt’ (white) in reference to sorcery materials. Perhaps the man was believed to have supernatural knowledge and that is why ‘Vit’ was added to his name.